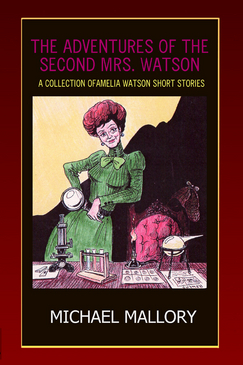 The redoubtable Amelia Watson – the second wife of Dr. John H. Watson of Baker Street fame – returns for thirteen light-hearted adventures whose puzzles would tax the ingenuity of the master himself! Whether soaring over England in a hot air balloon; sailing the seas on board ship; journeying to Scotland on behalf of His Majesty himself; becoming enmeshed in a Royal conspiracy at Buffalo Bill’s Wild West Show; or following the clues of an ancient treasure hunt through the streets of Edwardian London, Amelia Watson is never far from a mystery, and never fails to solve the most baffling of conundrums. 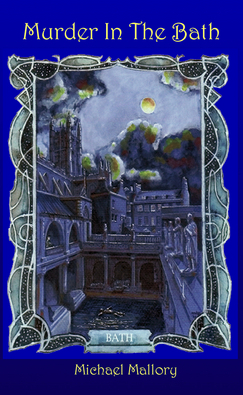 It is 1905 and the city of Bath, England is stunned when the body of a prosperous businessman is found floating in the city’s ancient Roma Bath. It is up to the intrepid Amelia Watson, second wife of Dr. John. 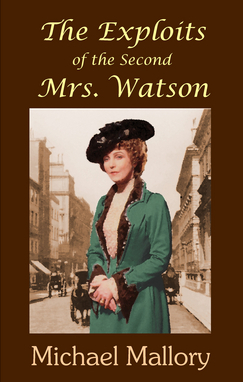 H. Watson, the chronicler of Sherlock Holmes, to prove that a former student’s husband is not responsible, despite the overwhelming evidence against him. But can she do so before becoming the killer’s next Victim? The Second Mrs. Watson is back on the case! This time the intrepid Amelia Watson finds herself in Stratford-upon-Avon, the birthplace of William Shakespeare, seeking to help the sister of a lifelong friend with a family crisis. 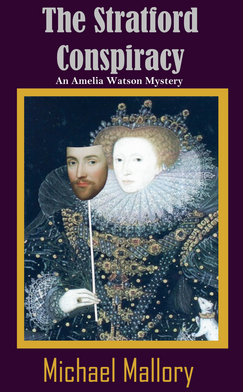 Before long, she, her trouble-prone chum Harry Benbow, and new acquaintance—a neophyte Canadian detective—all become enmeshed in a web of intrigue centering on shocking evidence proclaiming that Queen Elizabeth I was William Shakespeare! The adventure begins with the murder of an American Shakespearean scholar in London, and travels all the way to William Shakespeare’s grave in an ancient church on the banks of the gently-flowing Avon. In the process, Amelia is forced to admit that she may finally have taken on a case that is too puzzling—and too deadly—for her to solve; and worse, that she may become the next victim of the ruthless murderer that is stalking Stratford. Michael Mallory is the Derringer-winning author of The Adventures of the Second Mrs. Watson, Murder in the Bath, and The Exploits of the Second Mrs. Watson. He lives in Los Angeles.